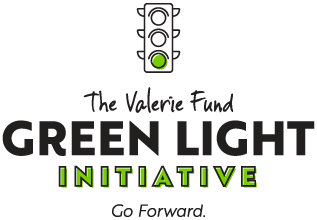 The Valerie Fund supports kids in mind, body and spirit, taking them from diagnosis through treatment to follow up. These services have improved the lives of patients and their families for decades, and the time is now to increase these vital offerings. This compassionate care includes on‑site psychologists, who help Valerie Fund kids and their loved ones deal with the fear, stress and uncertainty that come with cancer and blood disorders. These understanding professionals are specially trained in the coping techniques that get patients and families through the toughest times. Part of being a kid is being in school. Our educational liaisons advocate for patients and serve as a go-between so students can continue their education throughout their illness. They facilitate home instruction and Individual Education Plans, and make sure teachers, classmates and the school community understand childhood cancer, so they can be as supportive as possible. Another key service is integrative medicine, which brings relief to even the youngest Valerie Fund patients. Nurse practitioners trained in holistic, non-invasive therapies offer healing touch, acupressure, massage and other treatments that have been shown to ease pain, stress and nausea. Our growing palliative care program is designed to incorporate all support services, with a focus on relieving the symptoms of a serious illness and improving the quality of life through all stages of treatment. These teams bring art and science together to help children and their families live life to the fullest while facing complex medical problems. With more young people surviving childhood cancer, there's increasing need for survivorship screening as they grow into adolescence and adulthood. Some two-thirds of these survivors experience at least one long-term side effect, which can include physical damage, emotional impact and learning difficulties. Our experts help navigate these problems, and potential challenges with insurance and the job market. A diagnosis of childhood cancer or a blood disorder can turn a family's life upside down, with unexpected expenses and, often, time away from work for the parents. Our emergency fund helps pay the bills and meet urgent financial needs so families can focus on the most important thing -- treatment and recovery. HELP VALERIE FUND KIDS KEEP MOVING FORWARD.